THE FIGS BYRON is the perfect venue for your dream wedding! Set in an idyllic private garden and rural oasis in the heart of the beautiful Byron Shire and featuring stunning panoramic views from the Nightcap Ranges National Park, to the iconic Mount Warning and Mount Chincogan, all the way to the Pacific Ocean at Brunswick Heads. The property features expansive and stunning subtropical gardens, highlighted by four magnificent 250 year old Moreton Bay fig trees and a myriad of rare and exotic palms, flowering trees and shrubs. The property provides multiple options for the wedding ceremony site, as well as being a photographer's delight with its array of fabulous backdrops for beautiful wedding photos. The property also boasts more than 500 meters of pathways intertwining through the gardens, much of it wheelchair accessible, as well as more than 60 different varieties of organic fruit and nut trees in the surrounding gardens and orchards, producing wonderful succulent fruit for most of the year. Our resident flock of Wiltshire Horned Sheep provide a finishing touch to this beautiful and unique rural setting. On site amenities include a lovely grassed reception site surrounded by gardens, with views from the mountains to the sea, large enough to accommodate a large marquee, and high quality accommodation for up to 8 in the newly built deluxe apartments, with an additional 6 in the newly renovated fully self contained cottage. THE FIGS BYRON is the perfect wedding venue where you and your most intimate guests can enjoy the considerable benefits of this beautiful setting for as long as you like and at your own pace. With easy access to most of the 10-acre property and plentiful onsite accommodation available for visiting family and guests, you can just imagine the relaxed nature of the morning-after brunch to talk about the fun of the wedding day and to wind down after your special day. And to top it off, the central location of the property allows you to use THE FIGS BYRON as the focal point for all your fun activities in Byron Bay, the charming towns in the Byron Shire and the Byron hinterland. At THE FIGS BYRON, we recognise that your wedding day is one of the most important and memorable days of your life. We accept our important role in your special day with true commitment and a sense of personal and professional responsibility to ensure we meet, and hopefully exceed, your expectations. Wherever it is reasonable to do so, we will endeavour to work with you to personalise your wedding. Our wedding philosophy is based on the belief that you are the most important focus for us and we want you to enjoy your special day in as relaxed and enjoyable a setting as possible, and for you to be able to take your time to enjoy your beautiful surroundings: in the preparation period, on the actual wedding day, and in the pleasure and afterglow of the days immediately after the special day. We believe this approach is a rare commitment. Ceremony Sites - We have a number of potential ceremony sites including fabulous panoramic views from the mountain to the sea, intimate and exotic garden settings, or under the majestic presence of our wonderful 300 year old fig trees. We would be happy to work with you to select the ceremony site that meets your personal desires. Accommodation - On-site accommodation is available for up to 14 people. Our standard wedding package includes a 3-night rental of our high quality, newly-built, award-winning accommodation which includes 3 separate suites, with accommodation for up to 8 persons. This accommodation includes 1 fully compliant, disabled-friendly suite (sleeps 2). Additional accommodation is also available, on request, in our fully self-contained, newly-renovated 3 bedroom Bulburra Cottage, for up to an additional 6 persons. Viewing - By appointment only, but we are very flexible and readily available, and you can get a good idea of the options by viewing the picture gallery on our website. Swimming Pool & Spa – Construction is currently underway for a 15 metre swimming pool and integrated spa (construction is expected to be completed by end of April 2019.) What a great way to enjoy the beautiful panoramic views and gardens, all of which can be fully viewed while you relax in the spa and pool. Amenities & Bar Area - Part of the new construction includes a new pool amenities and bar area which includes a bar, BBQ, food preparation area, shower and toilets, all adjacent to the Marquee area. Gazebo – The final stage of the new construction is a large 9 metre diameter octagonal gazebo. This lovely feature is built with all natural pole construction, with transparent drop-down sides making it suitable as an all-weather ceremony site for up to 100 guests (seated with some standing room) and/or reception site for up to 60 seated guests with tables, or as a special dance floor adjacent to your marquee. The gazebo has uninterrupted panoramic views from the mountains to the sea and is set in the middle of some of our beautiful gardens, surrounded by a magnificent grove of frangipani trees and tropical heliconias. Marquee – At present, a marquee is essential for any weddings. Once our construction program is completed (by May 2019) weddings for up to 60 guests will not need a marquee. Weddings greater than 60 guests will still require a marquee. A suitable grassed and level site is provided and is easily accessible from our guest carpark. This can accommodate a 21m x 10m marquee which will readily accommodate up to 120 guests. This site is in the middle of our gardens and has views from the mountains to the sea. Ample power is also available for this site. And the marquee is conveniently located adjacent to the gazebo, pool amenities area and a dedicated catering site. Toilets - Two toilets are to be provided in the pool amenities area, as mentioned above – however hire of portaloos will be required in the short term. Three toilets are available in the main accommodation suites (1 disabled access). These toilets are strictly reserved for guests staying in the accommodation with the exception of the disabled toilet which can be used for any guests with access difficulties. Music/Curfew - We respect our neighbours, even though we cannot see them. All music and other loud noise must be ‘reasonably’ moderated throughout your event, consistent with the policies of Byron Shire Council. At the present time, this will necessitate music ending by 10.00pm and guests (other than those staying in the onsite accommodation) departing by 10.30pm. Guests staying in onsite accommodation must respect our neighbours by minimising loud noise, particularly after 10.30pm. Transport - Our venue site is only 2 minutes from the M1, 15 minutes from Byron Bay, 5 minutes from Brunswick Heads and 5 minutes from Mullumbimby. It has a fully sealed road with easy access right to the wedding ceremony sites and all service areas, including the carpark, accommodation, marquee site and the catering site. This includes easy turning capacity for larger delivery vehicles and buses and for easy access for the disabled. Use of buses or taxis for arrival and departure of most guests is required and the last guest must leave by 10.30 pm. Parking - We have ampleparking available for all guests in onsite accommodation and for all organisational and setup requirements. Special parking can also be made available for disabled guests, and other special guests, on request. Catering - We provide a specially prepared catering area adjacent to the reception area to facilitate provision of a catering service. The catering site is easily accessible and is serviced by adequate power and water for most catering requirements. However, there is no onsite catering equipment provided. Your choice of catering service should be made in conjunction with your wedding planner. 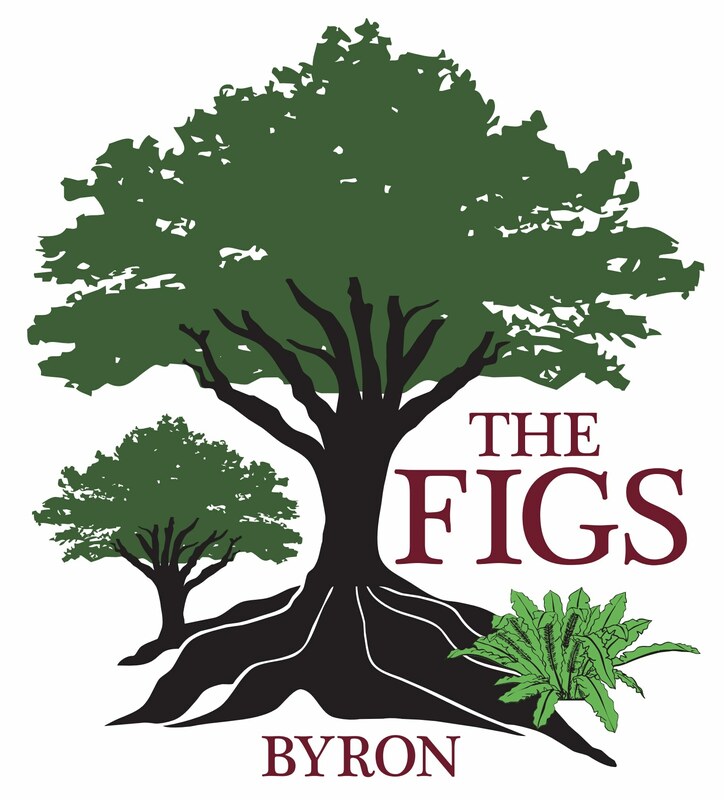 Please note - THE FIGS BYRON is a wedding venue and accommodation service provider only. We are not a wedding planner. You will need to select a suitable wedding planner to assist you and oversee all the suppliers that are chosen to be used on the day. We have a list of potential Wedding Planners and Preferred Service Providers that we recommend, which we will be happy to provide to you on request. Please check with us to ensure your selected wedding planner and service providers have established credentials, a good track record and adequate insurance coverage to avoid any disappointments for your special day. We will be happy to work with any of these recommended planners to help ensure the success of your special day.